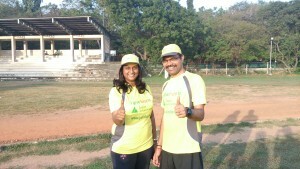 Anu and I got introduced to marathon running in 2012 through Mr. Dinesh Victor of Dream Runners group. Being Isha Yoga meditators for more than a decade, the flexibility from doing daily yoga complemented and gelled well with the core workouts for a marathon and now this has become our regular fitness program. I could do 6 half-marathons and Anu equal number of 10Km run in the past two years. Our group members meet regularly at Anna University and motivate each other. 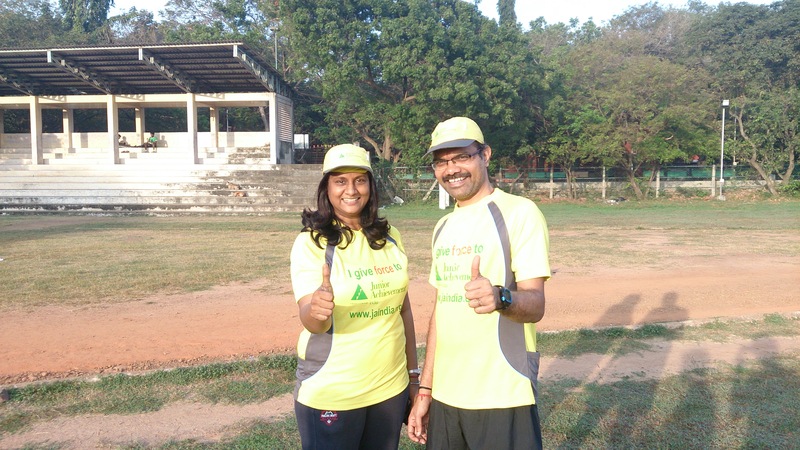 The insight that we gain from interacting with experienced marathon runners in the dream runners group and the training coach has been a great support for us. All this makes our preparation for the run in order and our post run recovery faster. We introduced the runner’s high to our son and nephews. Our family’s favorite outing on a Sunday morning will eventually be running. This easily fits into our busy lifestyle and this is the change we would like to see, ‘a joyful, healthy generation of people’ in the diabetic capital of the country, Chennai.